With Lean we now have an end-to-end integrated process framework from planning through to the delivery of strategic initiatives. The Library of Parliament contributes to parliamentary democracy by creating, managing and delivering authoritative, reliable and relevant information for Parliamentarians and their staff. Increasingly the Library must deliver their services faster and more on-line to meet the needs of Parliamentarians. With the number of new service delivery initiatives underway, it was found that practices lacked a uniform approach to implementation, and completion of projects was not consistently achieved. Senior management felt that there were too many projects on the go, successful delivery of project completion was low, there was little communication between teams, and there were an overwhelming number of decisions and priorities to be made. 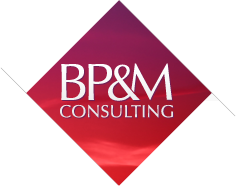 BP&M showed us how to build capacity internally which allowed us to continue after they left – such a big bonus! To address this, BP&M was brought in to establish a process management framework which could be used from end to end for strategic integrated planning, portfolio management and project management. The first step was to create a value stream map of the end-to-end processes. Then a visual representation of the stage gating approach was created to display the phases of project cycles and timelines and enabled the Library to align projects to its 4 strategic priorities. Initially, BP&M worked with the management team to develop the Library’s integrated planning framework and then train staff on project management concepts. This was provided in a straightforward ap-proach that could be easily understood by all over a short period of time. 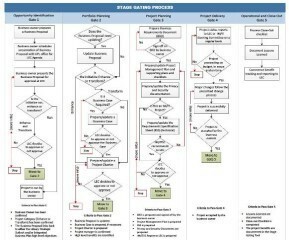 Using stage-gating required that milestones and specific criteria were met to move to the next phase and allowed project managers to re-port against established checkpoints and provide management the information necessary to make informed decisions. Through the integrated planning framework, the Library is moving towards improved decision making by better understanding their priorities, immediate and long term goals, and performance criteria. Projects now have greater clarity and transparency about prioritization and initiatives. The Executive Committee now has a better understanding of trade-offs in decision making and the interdependencies between initiatives. The Library now has a structure that is understood by everyone, with a common investment and project management language. Staff better understand the decision making process and how they can improve the delivery of new services and capabilities. This has led to better communications across the organization and allows the organization to achieve more with the same level of resources. With a new foundation in place, the Library has further expanded on improving the process continually.